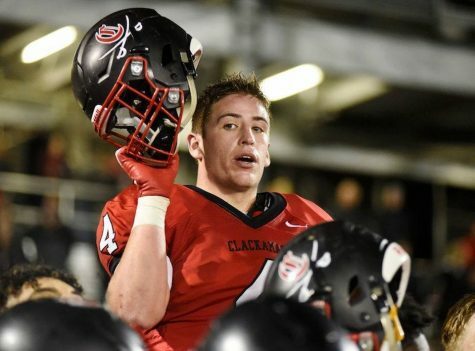 The issue became obvious when two freshmen athletes at Clackamas High School posted a racist thread on social media. 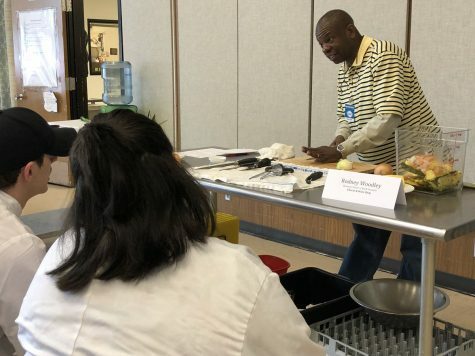 By the end of the school year, Clackamas High administrators knew they had to combat a growing problem with racism by asking teachers to address the issue in a pre-produced lesson plan. Teachers at Sabin-Schellenberg used the same lesson to include CHS students who attended SSC classes during the period where it was being presented at CHS. Students were going to be asked to think about the use of words that had become way too easy to use in the halls, classrooms, buses and on social media. Some students admitted they had no problem using the N word or calling someone the B word. The usual response, when questioned by the administration about the vocal use of profanity was, “Everyone uses it and I don’t see it as a big deal.” But, it appears it has become a big deal and not just at Clackamas High School. For years, students took part in equity training called, Breaking Down The Walls. It was a chance to take part in a program that was designed to unify, empower and engage every student to create a positive and supportive campus. This year, NCSD did not use the company to come to each high school to share how to learn how to communicate effectively with different cultures, beliefs, or lifestyles. Some students say they found the program successful in helping them learn more about others who appear different than themselves. Others say the program was a way to get out of class for a day. Racism in schools has become increasingly problematic. Milwaukie, Rex Putnam, and Clackamas are three of the high schools where racism is being observed more closely. Students from The Compass are determined to uncover the reasoning behind why racism is happening, where it is happening, how we can break down the walls, how white privilege and the culture of our schools contribute to this issue, and more. Racism is evident everywhere but can also show up in the most discreet ways. Clackamas High School students interviewed have shared specific examples of racism that they have seen in the school. The most common example repeated by many students involved players on the Clackamas basketball team who posted a photo of a black male student in an Instagram group chat. The white members of the team made comments that were described as rude and racist. Other issues reported by current students and staff raise concerns over language that is being used, the culture of the school, where the racism is taking place, and specific incidences where students were treated with disrespect due to ethnicity. White privilege (or white skin privilege) also plays a big roles in racial issues at CHS. According to the definition in Wikipedia, “White privilege is a term for societal privileges that benefit white people in Western countries beyond what is commonly experienced by non-white people under the same social, political, or economic circumstances. Most people experience white privilege at least once or twice in their lives and it’s almost certain that it’s experienced at school all the time.” Another teacher at Clackamas, who asked not to be identified, says “I think we could definitely manage it more by disciplining the kids better or in a more severe way. I don’t think these kids will learn their lesson from a two day suspension or a referral”. When asked about seeing the act happen at school they replied “Personally no I don’t see it. I’ve heard stories about it but never seen it take place in or outside my classroom”. Bridget McHone, a freshman, says “Yes I have seen white privilege at school, on the bus, the hallway, bathrooms, it’s pretty much everywhere.” When asked how we should manage it she answered “I really don’t know how we can because no matter what we do there will always be those kids that don’t get punished”. There was plenty of discussion of racism in the fall when the media reported on an incident involving students on the freshmen basketball team. Clackamas High Administrators used Restorative Justice to deal with those involved in the incident. Some of the players were also not allowed to return to the team for a number of games during the season. Milwaukie High School/Milwaukie Academy of the Arts is a school that strives to create a safe environment for all students. The racism that exists in our country makes this goal a bit more difficult to reach. It is important to look at the environment students and teachers have created and look at the race culture within the school. Along with the equity lessons Milwaukie has Ascension and SAAAHA. Ascension is a group for Latin-American students to get together and get to know their culture, while SAAHA is the group for African-Americans to do the same. Students of color make up 45 % of MHS’ student body. White privilege may be a problem depending on who it’s coming from. “You get a whole different experience being a POC anywhere and the representation needs to improve in our school. There are times when I feel alone and deal with some things being Asian that some white students can’t ever relate to.” This student feels excluded from the white students to the point where she cannot relate to the others just because she’s Asian. This is what another student said, “I believe that white privilege exists everywhere.” A survey recently provided by one of the MHS/MAA students for other MHS students, asked 28 others if they had ever been targeted at the point where they felt excluded because they weren’t white leading to racism showed 17.86% answered with Yes, 42.86% answered no. 39% percent of the students said that they had not experienced or heard it but knew of others who had experienced it. She also asked the students if white privilege existed at MHS and MAA and 75% of them said yes and 25% answered with a no. Every student at Putnam has gone through training and knows that racism can hurt people. When people think of racism they may think of violent incidents, but in reality racism is in simple conversations everyday. Recently, it has become more aware to school administrators that racism happens more than they thought. For students, racism has been a part of their school life. So why has racism finally been brought up and why is it been mandatory for students to take training on how to prevent racism? If racism has been going on longer and more frequent than administrators thought, is the racism so bad that it can not be mended? What does racism look like at Putnam? At Putnam, there are clubs such as Black Student Union and Latino Club. Both clubs are dedicated to making all students feel welcome and involved in the community. Cultural night is for anyone and everyone to attend, including parents and friends. This event was created by the Black Student Union group to build community inside and outside of the school. It is for getting to know people and their culture. This event includes drinks, food, music, and dancing. Inside of this club, you can come, play activities, chat with friends, and enjoy appetizers and beverages all provided by the school. It allows all Latinos to have a voice. In previous years the North Clackamas School District offered a program called “Breaking Down The Walls where students from the three main North Clackamas high schools gathered around to speak about the main issues with equity in their schools. In today’s presence they now only offer a similar program to teachers. Breaking Down the Walls is a comprehensive program designed to unify, empower, and engage every student to create a positive and supportive campus climate. This however, has also been removed from the school’s district. Students of all colors at Rex Putnam High School have their differing views on racism at the school, based on their own experiences, or what they’ve seen. There are people such as Freshman August Johnson who have seen racism at the school, Johnson says, “Yes, I’ve seen racism at Rex Putnam.It was at one of the football games at the beginning of the year. Students were surrounding a black student and calling him the ‘n’ word and it didn’t stop until a senior told them to stop. I don’t think we can fully fix this, racism will always be a part of our society.” RPHS administrators say they were not contacted and did not know about this when asked. Aside from just seeing examples of racism displayed at the school, there are those who have had it directed at them and it has had an effect on them. Hanna Tran comes from a Vietnamese background, she’s a Freshman at Putnam who says, “Racism is a problem everywhere and there is definitely racism at Putnam, but I don’t think it happens as much here. As an Asian American, people have made really insensitive jokes towards me, and have offended my sense of racial identity. Racism towards Asians is usually passed and ‘labeled’ as not that big of a deal, many also implying that we are just sensitive. I try to not let that affect me as much”. Juliet Rinson, who identifies as an Asian, says, “I think there is racism at Putnam. I haven’t been affected but a few of my friends have been. A few months ago my friend was sort of discriminated against for her race and this guy in my class said ‘You’re Asian, you’re supposed to be smart, don’t you get A’s?’ And I think that anyone could change this by stepping up for each other and helping each other as a community”. There was an incident involving some members of an RPHS baseball team this spring involving two photos shared on an Instagram account. The administration says the students were involved in disciplinary action but could not site specifics because of confidentiality rules. Kim Street is the Dean of Students at Putnam and deals with students all day, every day. Street says the locations of the problems are in the halls and online. Street states “It’s more harmful on social media.” Based on size of the settings though Street says “It is in all different types of settings.” In reality, racism can happen in any social media, in any school, and any school district. Breaking Down the Walls is a program designed to empower, unify, and create a positive and supportive school atmosphere. Speakers of the program travel around the country to thousands of high schools, inspiring students to encourage and support their peers. If these programs are put in place to unify, then why do students still not feel welcome in their school? Why are there racist comments shouted in the halls? Is this program working to prevent racism and bullying at Rex Putnam? This past school year there was no Breaking Down The Walls intervention. The North Clackamas School District Equity Policy says “Instead, equity fosters an inclusive and barrier- free environment in which everyone will fully benefit.” When asked about Breaking Down the Walls, Noelle Zentz, a counselor at Rex Putnam says “I’m not sure if I feel that Breaking Down The Walls was successful in addressing racism…I think it was successful in the years past in helping students to open up and be vulnerable with each other. ” North Clackamas equity programs are here to help students get a equal education that “will not be predicted nor predetermined by race, ethnicity, family…” The biggest problem still remains after these programs that, in the mission statement, seem to be pretty airtight. Overall, there are a total of 1,171 students at Putnam. 1% of students are American Indian, 1% of students are Asian, 2% of students are African American, 19% of students are Hispanic, and 70% of students are White. 30% of students are minority, according to race, at Putnam. Students at CHS and SSC were asked to reflect on the lesson given to them in May. Some students report that their teachers didn’t seem to take the lesson seriously or didn’t even share it in its entirety at school. Others say their teachers spent more time on the lesson and included deep conversations that included questions on how students could respond to hearing racially charged conversations with purpose. 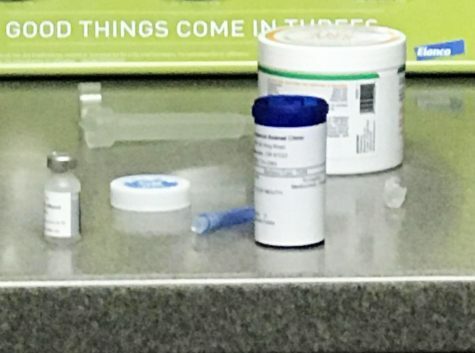 Next year, students at all three high schools are expected to hear the same or a similar lesson so that the issues are dealt with earlier in the year.